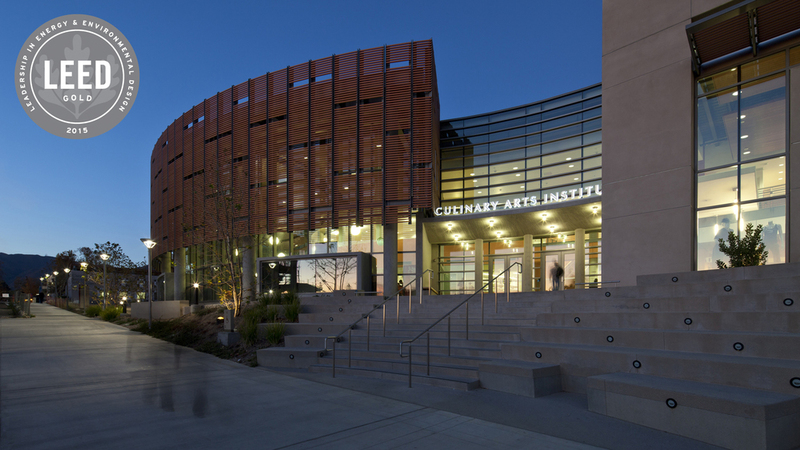 The Culinary Arts Institute and Campus Bookstore at Los Angeles Mission College has achieved LEED® certification to the Gold level, which makes it one of the most sustainable culinary arts facilities in the country. This distinction is a capstone achievement for project that has already garnered awards for design excellence by the American Institute of Architects and for community impact by the Los Angeles Business Journal. To view LEED Scorecard, click here. The firm was originally established June 1996 under the name of Quatro Design Group, by founding partners, Javier M. Molina, Ricardo Rodriguez and David S. Stokes as a California General Partnership. Kevin Tyrrell joined the ﬁrm in 2004 and became an associate partner in 2009. As the firm grew, the partners strategically added and mentored new team members who share the vision of the architectural profession as an expression of community values. Through the years we have taken pride in maintaining a tight-knit team of highly talented staff. As part of a natural transition to broaden our legacy, QDG Incorporated, dba QDG Architecture, was formed in 2014 to solidify our standing as a company and lay the groundwork for continued success well into the future. In addition to the core individuals of the partnership, ownership was expanded to dedicated, long-term employees: Juan Ortiz and Viqui Aguilar. Vista Crest and Parkside Place wins 2014 Gold Nugget Award of Merit in the category of Affordable Project under 30 du/acre. In the March/April issue of gb&d, Javier Molina was featured in the article entitled, "Safe Havens and Gathering Places". In the article, he reflects on his personal journey in becoming an architect and discusses some of QDG's recent sustainable projects. Stay up to date with us on Twitter, Instagram and LinkedIn. Quatro Design Group is now QDG Architecture!